Shouldn't they also specify the version number in which certain web technologies are incompatible for other browsers instead of just Internet Explorer? While other browsers may have no (obvious) difference between versions, Internet Explorer, being the only browser pre-installed (and basically hard-coded) in Windows, has huge differences from version 6 to version 10. Version 10 is almost as good a browser as Chrome or Firefox, while version 6 is an unreliable, slow, good-for-nothing, over-customized browser still used by some non tech-savvy, and it is incompatible with thousands of features introduced after it was created (that was over a decade ago). You can see some compatibility examples here. Since IE comes with Windows, and while other OS are gaining up publicity, Windows has been the default for thousands (if not millions) of people, for a long time. Since these people hire programmers to do stuff, like make their websites, programmers are forced to make it look good on the client's screen, even if that doesn't always target the largest audience. So, in conclusion, we tend to always refer to IE with its version, because it does mean something different for development. P.S. : Here is a great blog article about the history of IE and why geeks hate it which does a great presentation on a once good browser. One major reason not mentioned by mavrosxristoforos is that Firefox, Chrome and Safari are all auto-updated software. So their users all have the latest version installed (except those who are never online. But well ...). So the market share for older version is so small that it is irrelevant to consider anything but the latest one when developing a web application. With Internet Explorer, users have to manually upgrade when a new version is out, which slows things a lot. So in order to reach some users, web applications have to be tested on older versions of IE. The problem with Internet Explorer is that their major versions all require the at that time latest version of Windows. IE 10 was initially only available for Windows 8 and is now also available for 7 but not for Vista. Updating your Windows version costs money, time and sanity, so you can't blame the considerable amount of people who still use older versions of windows. That means they are also stuck with older versions of internet explorer. But when it comes to other browsers which do not require a specific operating system, there is really no excuse to not use the latest version available. 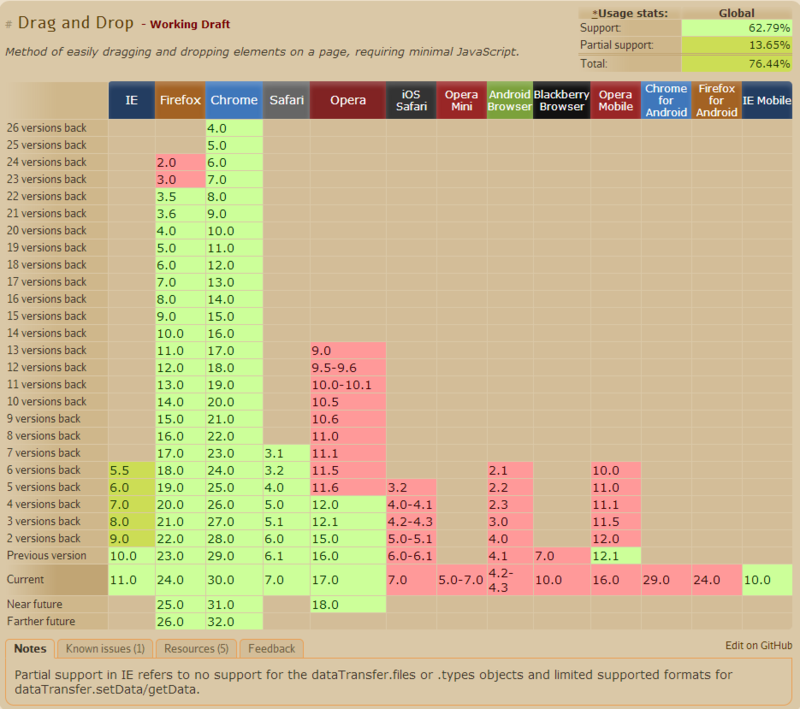 If you take a look at a site like http://caniuse.com/ you can see a breakdown of support for various HTML/CSS/etc features by version number of all the browsers. That might give you a better visual picture of why IE is generally referred to by number while the others aren't. The Internet Explorer is not made available on all Windows platforms. For example, the latest Internet Explorer version cannot be used on Windows XP. Therefore there is a user base (Windows XP users) who cannot update to the most recent Internet Explorer version, which means that Web developers will get reports from these people about incompatibilities. In contrast, other browsers like Firefox are compiled for all major platforms with the most recent release. With auto updating, most users are quite up to date with the browser version which reduces the need to separate between different browser versions, most of the time people talk about the "current" release. Not the answer you're looking for? Browse other questions tagged web-development html5 internet-explorer or ask your own question. How do you handle supporting Chrome versions?